Oh! Seminole Canyon, how do I love thee! Let me count the ways. 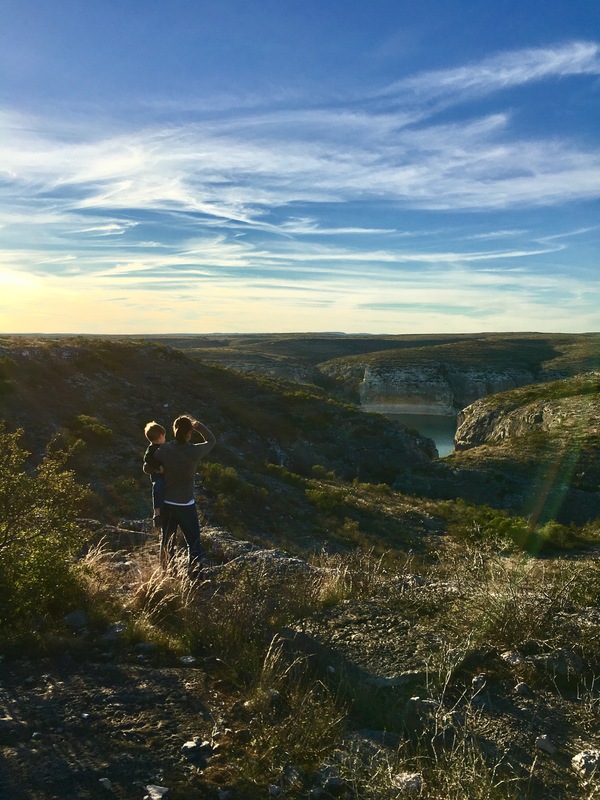 If you have never been out to West Texas, might I suggest a quick trip to Seminole Canyon. If you don’t have much time and/or don’t want to spend much money, this is the perfect little trip for you. It will not disappoint you. Camp at the state park if you can. We are currently on day 8 of our 10 day stay here at the State Park. We are in a travel trailer but there are tons of people here camping in tents and in the back of trucks and vans. If you are in an RV or trailer, there are electric and water hook ups available and a pull up dump station. There are camp sites with access to water and electric as well as primitive camp sites if you really want to go native. The park is quite. Unless we are here, then you are sure to hear my 3-year-old running about the park, telling every single person hello and looking for animals. He is so friendly I might get him a job this summer as camp host. It’s about time he starts pulling his weight around here. It is hard to put my finger on my favorite aspect of the park and this area of Texas in particular. Some days it is the history. Others it is the geology. This week it was the landscape. 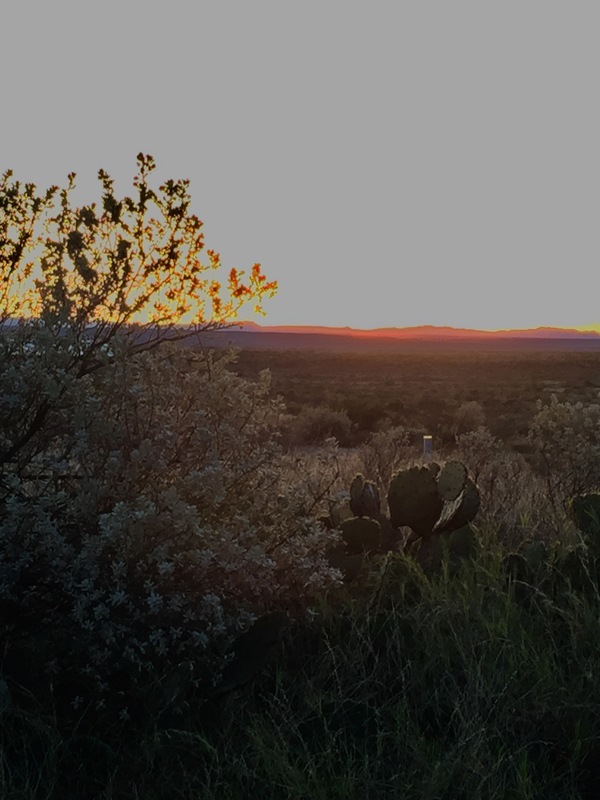 How amazing it was to be able to watch the sun set into the mountains of Mexico from where we are. It’s so beautiful you’ll thank God right out loud for it, because it certainly is one of his most awe-inspiring creations. 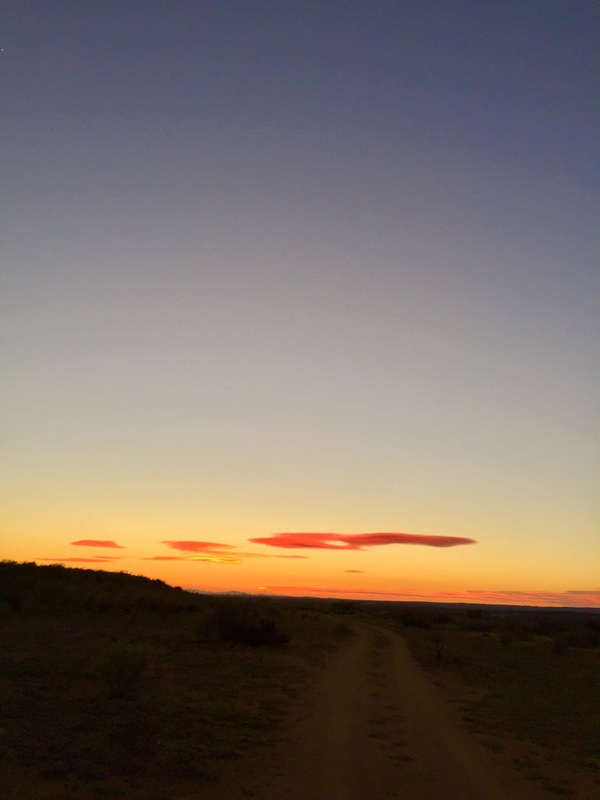 We were fortunate enough to bring in the New Year with friends at the cabin which overlooks the Pecos River. That view is one that never gets old no matter the weather, time of year or how many times you see it. And the night sky! With no light pollution it makes for a wonderous look up at the sky. All that aside you can also visit the Rock Art sites, which if that doesn’t knock your socks off then there is no pleasing you! Just go back home and watch bad TV. 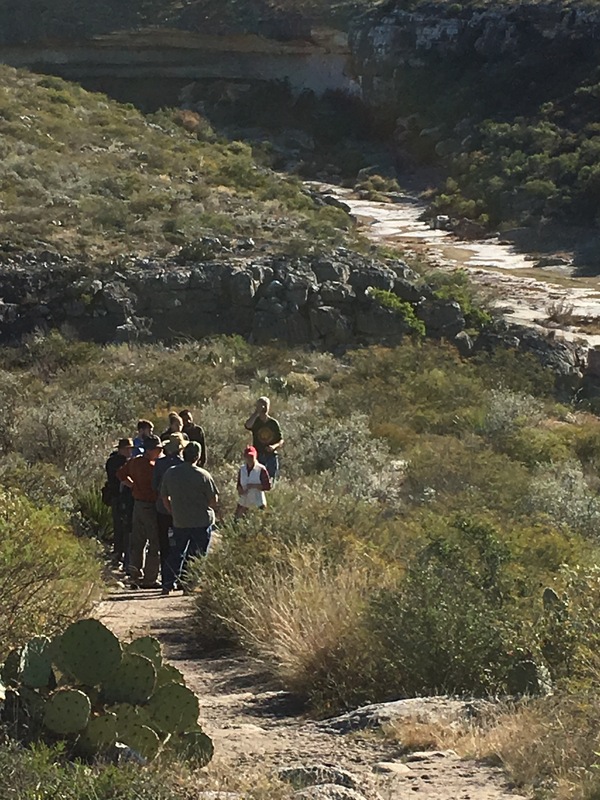 I have already reviewed the Seminole Canyon State park under the Reviews tab on the site. But I just love it out here so much I wanted to give it another shout out. Do please plan to visit it in 2017. Make it a resolution. In fact, make it a point to visit more state parks! It’s awesome! Been lotsa years since I was there, but I remember. Aren’t you a tad cold, at the moment? Snow? It’s cold in SA, for sure! It was a chilly 28 degrees on my morning rock art tours!!! Yikes!